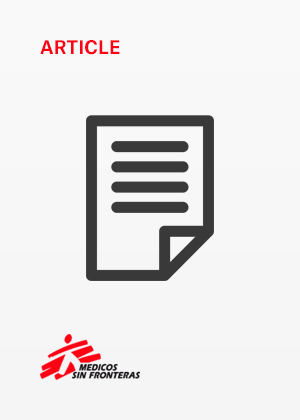 MSF’s default modus operandi is to provide medical care and humanitarian aid directly thought its own staff, without intermediaries to implement activities. It also avoids using intermediaries to collect medical data and share patient and staff testimonies. In exceptional contexts, such as Chechnya or Somalia in the past and now Syria, when MSF personnel cannot access an area – for security reasons or because access is denied – but medical needs are huge and acute, the organisation has operated “support” projects with trusted partners or individuals, in collaboration with local medical associations and relief groups. In practice, this means sending drugs and medical material and providing remote support and specialist medical advice via telecommunications. In Syria, MSF has faced a unique situation in many areas with large numbers of people trapped in besieged areas, and no possibility to have MSF staff on the ground for long periods of time. There are a few exceptions, where MSF operates medical facilities in opposition-held areas run by MSF local staff. On many occasions in the past six years, MSF teams managing Syria support programmes have received reports of critical lack of access to healthcare, starvation, bombed hospitals, killed medical staff and even the use of chemical weapons. The extreme level of violence and its acute impact on the Syrian people led the organisation in some cases to speak out based on medical data and testimonies it received from its medical partners on the ground. This data is often erratic and can lack consistency, and testimonies are difficult to verify in besieged areas, where alternative sources of information are very limited. As much as possible, the information is fact-checked and triangulated. The organisation makes sure it only comes from individuals or groups it has collaborated with in a trusted and often daily relationship for months, if not years. Through information we obtained in this way, however imperfect, however blurry, we became aware of the immense suffering of the people trapped in the Syrian conflict. When this information showed evidence of extreme medical needs in an environment where the protection of the medical act, the patients we support and the humanitarian principles we uphold were blatantly disregarded by the warring parties, MSF sometimes chose to communicate. Communicating in this way, in a conflict where humanitarian aid has been subsumed by the warring parties using ‘with us, or against us’ logic, constitutes an extremely difficult dilemma for MSF. However, we have chosen to do so when the medical consequences of the ongoing violence, reported to MSF, showed extreme suffering, or when medical staff and facilities were directly attacked. Knowledge is power, and even the most innocuous medical statistics are prone to be abused by parties to the conflict to further their political or military goals. And often the story MSF has to tell is far from mundane. Although these communications were never done without considering first and foremost the consequences on the population we are trying to support, the truthfulness of these statements have been challenged as parties to the conflict seized on our reports to score political points against their opposition. Once our statements are made public, the way it is used by other actors is out of MSF’s control. Decisions related to data or testimony collection, the way information is gathered and the quality assurance protocols for putting information together are complex, unique to each case and not always within MSF’s control either. With limited control over the input, and no control over how the information is used, risks of manipulation by warring parties are amplified. The propaganda war around the Syria crisis has no limit. It not only involves local actors but mighty global powers with strong vested interests. Positions are polarized and confrontational, and any information or data has the potential to be used by all sides to demonize their opponents. This risk of manipulation and bias also exists when MSF teams are present in the field. However in these cases we can take full responsibility in our attempt to use data and stories to reflect the reality of our operations and have more control to ensure that they are not undermined by any particular political or military agenda. When the medical data and testimonies are not ours, it is more challenging to guarantee that. MSF teams first started working in east Aleppo in 2013, running a hospital on the outskirts of the city and developing contacts with the existing network of hospitals in the area. In 2014, after the kidnapping of an MSF team in another area of Syria, the organisation decided to withdraw staff on the ground. However, MSF continued to support several hospitals, health centers and first aid points by sending cargoes of medical supplies and equipment, maintaining regular phone contacts with the staff of the health facilities, and through visits of the medical staff to Turkey. When the siege seemed likely, MSF collaborated with these hospitals to build a stock of medical supplies inside the city to help medical facilities continue operations, in case of a lengthy siege. When the siege started in July 2016, the high number of casualties resulting from airstrikes and ground fighting overwhelmed the hospitals. The stocks of surgical material dwindled and it became impossible to send further supplies into East Aleppo. In August, the siege was briefly broken and MSF teams risked sending 17 trucks across the frontlines. As a result, the hospitals remained functional until the siege ended. During the second siege of the city, the intensity of airstrikes increased dramatically. MSF kept negotiating with all parties to the conflict to try to bring aid to the population. Despite these efforts, we were unsuccessful. In October 2016 we faced an extremely difficult choice. We considered that we had an obligation to speak out and give a voice to the suffering of dozens of thousands of people and show solidarity to them. The organisation launched an intense communication campaign. Doing this meant deviating from MSF´s traditional approach of témoignage of MSF doctors and instead relying on doctors´ testimonies from MSF-supported programmes. These doctors supported the population in need that MSF wanted to reach but was unable to. As a medical humanitarian actor respected for its work and its words, MSF could only endorse their testimonies, when appropriate. However, this presented many challenges. The process was often frustrating and disappointing. Content was only approved after careful verification. This process included direct and detailed confirmation in cases such as attacks on hospitals. It also involved secondary verification with other trusted medical and humanitarian contacts and required the development of other forms of remote assessment. Accounts that could not be verified and data that was biased or inconsistent were discarded. Even if this process proved challenging, MSF had no other choice. It couldn’t remain silent.